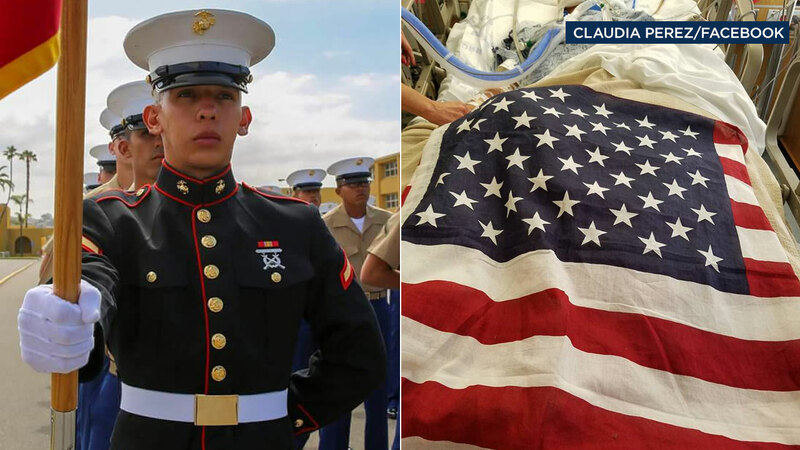 LOS ANGELES -- The 19-year-old U.S. Marine who was shot in the head while on military leave in South L.A. last week has died, officials said. According to Los Angeles police, Segovia was shot once in the head near 31st Street and Western Avenue at around 11:30 p.m. Friday. Segovia was in his car at a top sign when another vehicle pulled up, and a suspect or suspects opened fire. Segovia was not in uniform when he was shot, according to authorities. The family of Segovia contacted ABC7 using the hashtag #abc7eyewitness and said the 19-year-old was home on military leave from Camp Pendleton. If you have any relevant information on this case, you're urged to contact police.